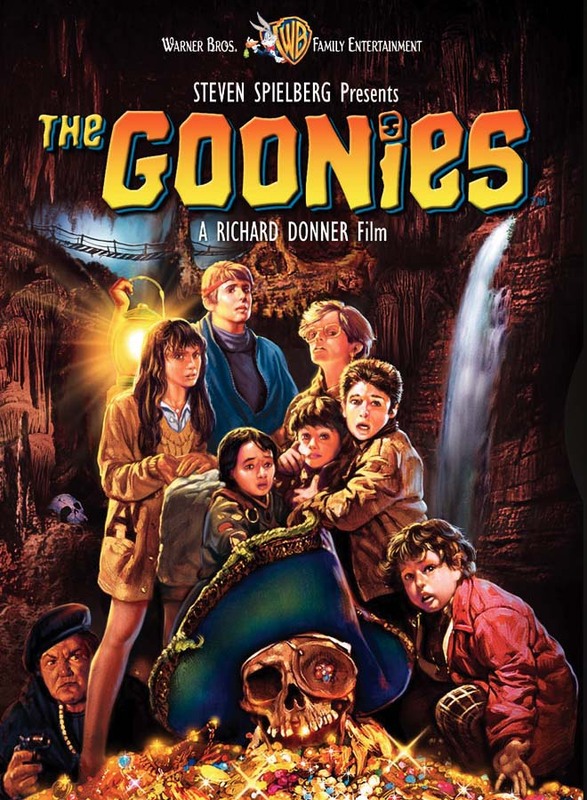 Goonies Comes to Blu-ray with Oddly Misleading Cover Art | Critical End! 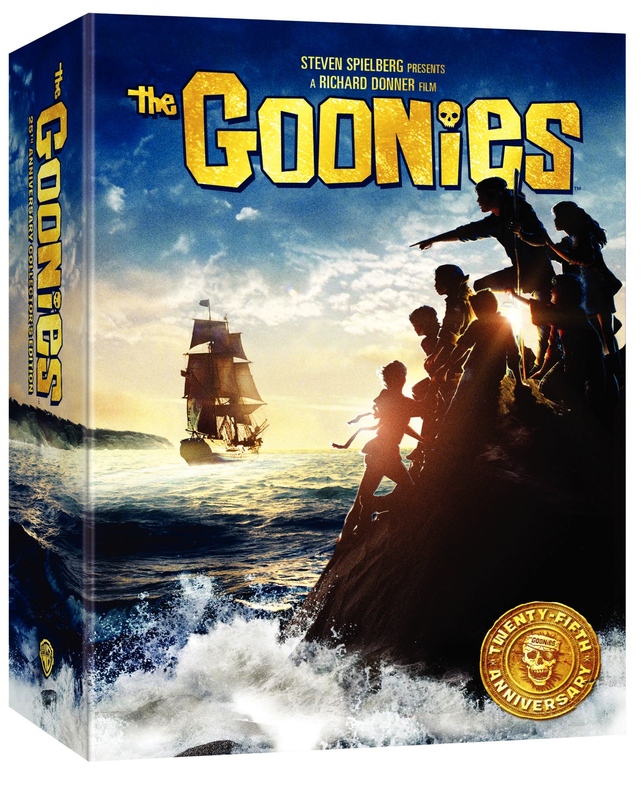 Logan and I joked that a 25th Anniversary blu-ray edition of Goonies was certainly on the way, and sure enough here it is. Now, when I finally saw the film for the first time, I thought the DVD cover was a bit misleading. So, yeah, they do end up in that cave at the climax of the film, and there is a lot of treasure, though they never stand atop piles of the stuff. And that’s all in the last 15 minutes. But I get it, that’s probably the part of the film everybody remembers and it’s being exaggerated for the sake of marketing. No big deal. Okay, fun’s fun, but that’s a bit disingenuous. Yes, this could be considered a re-imagining of the final shot, when the adventure is completely over. But if you haven’t seen the film, this implies that the Goonies set sail for high seas shenanigans, which just isn’t true. Most of the movie takes place in dark tunnels. I realize they wanted something visually distinct from the DVD, but it seems a shame to throw out that classy 80’s painted artwork in favor of a barely-related photoshop job. Anywho, the new set comes with a ton of goodies, including a a brand new Goonies board game for all your drunken board game party needs. Look for it November 2nd. This entry was posted on Wednesday, July 28th, 2010 at 12:47 pm. You can follow any responses to this entry through the RSS 2.0 feed. Both comments and pings are currently closed.